When we released our debut novel ‘Sugar & Spice’ what seems like eons ago now, we never dreamed that it would make the top 100 in the Amazon paid store. We never even thought we’d sell 100 books, let alone reach the top 100, but we did. It took us roughly 160 days. 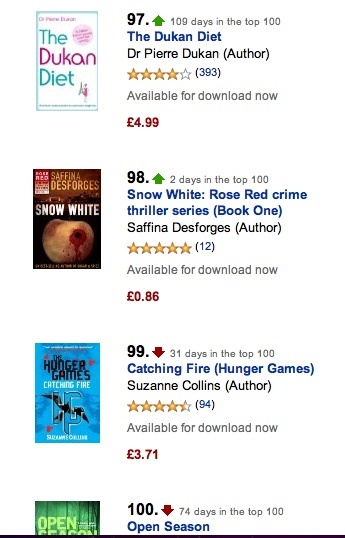 ‘Snow White’ was released 20 days ago and this morning, I awoke to find us sitting at number 98. We might not stay there, who knows, but it was still a nice sight to wake up to. We’ve learnt a lot since then – loads. I was interviewed yesterday by a journalist for an article on the rise of Kindle and digital publishing and he asked me that very same question: What do you know now that you didn’t know when you started out? The experience of uploading our second book to Amazon was very different. The first time round we stumbled through the process like a blind-folded drunk on ice and made some BIG mistakes. The result? ‘Sugar & Spice’ sat bobbing around the lower echelons of the Amazon charts unnoticed for weeks, months even. Then when it did start selling, we also had problems and the climb was arduous, pedestrian. Paid for a cover in advance, promoted before the release. Blogged, tweeted and facebook’ed’. Had it proof-read and professionally converted for upload. All things we had done ourselves the first time. Sure, it costs you money, but it pays for itself almost immediately. Those few things sell books – fact. We are learning all the time and when we release ‘Rapunzel’ before the end of the year, we’ll be even wiser (and older!). Get it now, special introductory price! I’m so excited, I could pop! Well, it’s been a pretty eventful week. Riots – everywhere. London rioted, quickly followed by Manchester, Liverpool and Birmingham. 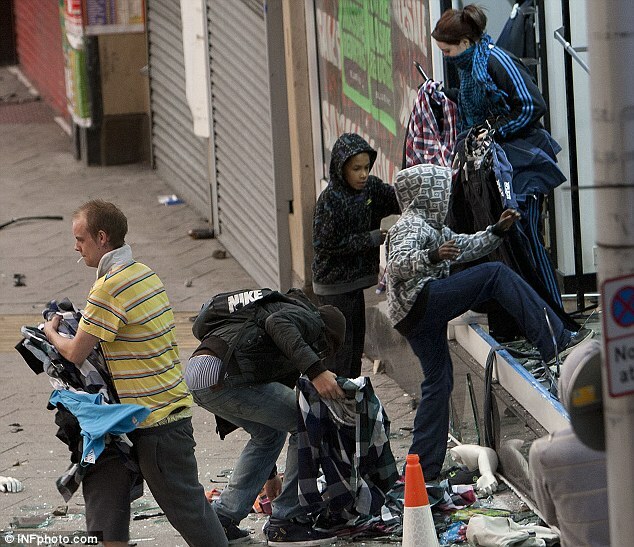 Looters and mindless vandals burnt down shops and homes and helped themselves to whatever they could get their hands on. Then they blamed it all on the government. Seriously though, we had a lot to discuss. Our new book, ‘Snow White’ comes out next week (squeeeee! 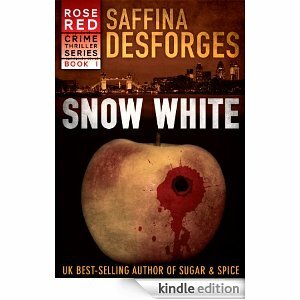 ), we are setting up a new venture (more on that in due course) are hoping to have some ‘Saffina Desforges presents’ short story anthologies out before Christmas (accepting submissions from indie writers. Email Mark Williams at crossingthepond@rocketmail.com) and have two or three other WIP, so things are pretty hectic! It’s an exciting time for all writers that’s for sure. 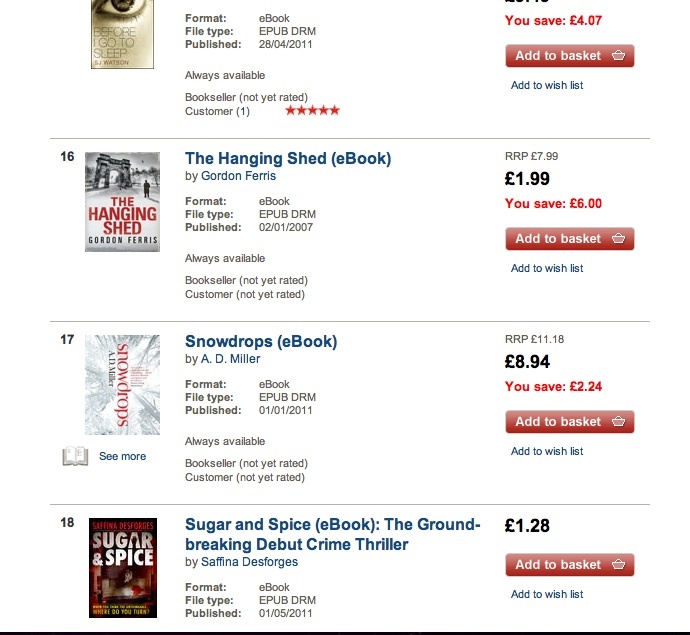 ‘Sugar & Spice’ is still selling steadily and we received news yesterday that we had made the Top 20 on the Waterstones ebook chart. How cool is that? The Rose Red blog has been updated with character profiles from Red & The Hunstman – stop by and check it out! Have a look at the ‘Characters Book One: Snow White’ tab and catch a glimpse of what’s to come when you meet them for real on July 29th 2011! Next week: the kids; Jack, Ella and Ruby Tuesday stop by to say hi!